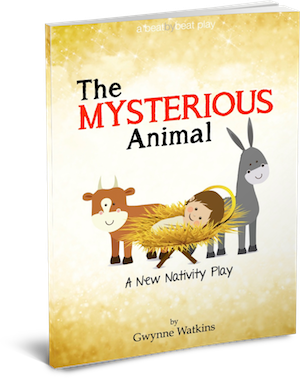 The Mysterious Animal is a new nativity play for kids that tells the story of Jesus’ birth from the perspective of the animals in the barn. It’s a funny play with a sincere message: the creatures who share the barn with baby Jesus are among the first to receive and understand the Good News of the gospel. Written by the best-selling playwright of Wow! A New Nativity Play. Animals were a daily part of life in ancient Israel, and Jesus did speak of them frequently. The animals in the Nativity scene serve to remind us that Jesus was born in poverty, and preached of salvation for all – not just the righteous, but the humble, oppressed, and outcast. Their presence also serves to foreshadow Jesus’ life and teachings – for example, his ride on a donkey into Jerusalem (Matthew 21), and the parable of the sheep and the goats (Matthew 25). 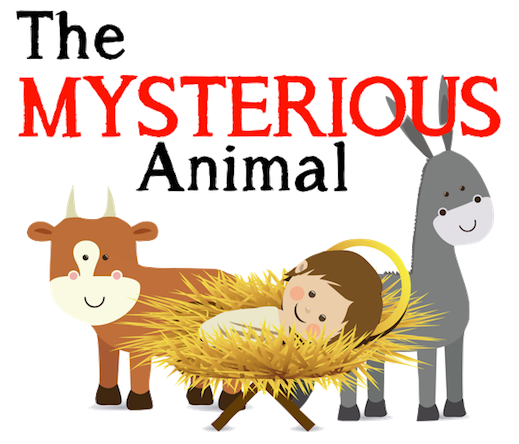 ‘The Mysterious Animal’ is a funny play with a sincere message: The creatures who share the barn with baby Jesus are among the first to receive and understand the Good News of the gospels, along with the shepherds, the magi, and Mary and Joseph. 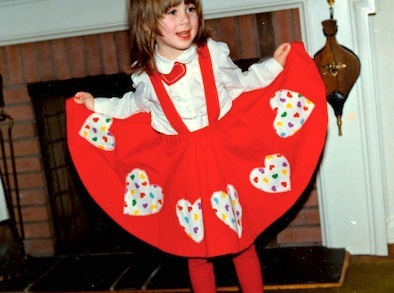 Here, a guide to the scriptures and traditions that are referenced by the characters.